There’s an irony to it. Tunisia is the sixth largest supplier of textiles to Europe and yet most Tunisians buy clothes by the limited number of imported brands such as Zara, from the flea market, or overseas. This didn’t make sense to Sofiène and Claire Ben Châabane. Lyoum, which means “the day” or “today”, opened its doors in June 2012 with a children’s brand and a café in a hip and fashionably designed studio in La Marsa, the upmarket suburb north of Tunis. “There was nothing nice for kids, so we thought that could be, that's how we entered the market,” explains Sofiène. Today the brand is perhaps mostly known for the duo’s latest line of cheeky prints such as “Nietzsche Loved Shakshouka” and “Beauvoir Loved Baklawa." The idea came during an autumn exhibition at the Bardo museum last year, a celebration of the 100th anniversary of artists Paul Klee, Auguste Macke and Louis Moillet’s journey to Tunisia, which is considered to have influenced and transformed their work. “We were imagining what they were doing here,” explains Sofiène with a laugh. “What did they eat? What was their favorite food?” And as simple as that, the idea was born. In January 2015, the new collection, their first line for adults, was ready, all that was missing was some buzz around the launch. “You can have a great product but if nobody comes and sees it then it doesn't matter.” The cofounders brainstormed, and came up with the idea to reach out to a number of influential Tunisian artists, bloggers and social media people, to whom they sent goodie bags: a press release, a shirt from the new line and a gift. “It was a yes or no moment,” remembers Sofiène. “We had never imagined such a result, it was sold out in two weeks.” When requests started to come from abroad the duo knew that they were on to something. If it's on a t-shirt, it must be true. But in the beginning it was difficult. “We started not knowing anyone,” explains Sofiène. The couple left everything behind in France, taking their two children to Tunis only with an idea they believed in, a business plan and some personal capital to get them started. “You are too little,” was the common response Lyoum received in the beginning. Most manufacturers refused to work with the duo because of the low quantities and because of a common belief that local brands lack quality. 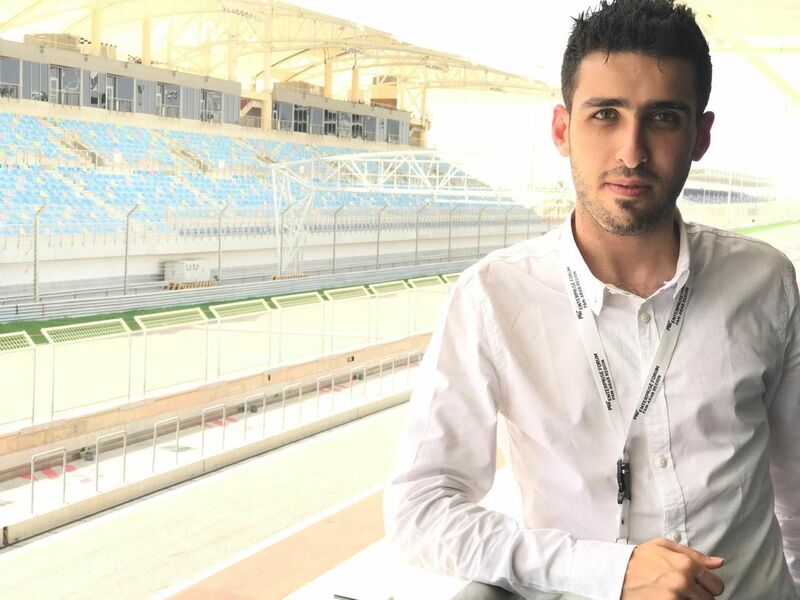 “We spent months having doors shut in front of us.” That almost killed them before they even started but, refusing to give up, they finally found a team of young manufacturers near Sousse, where many of the country’s textile businesses are situated, who believed in the idea, who also found it bizarre that there was nothing like it already. The café concept played a crucial role for the business. Some people laughed but it worked. “The café helped us because you don’t buy clothes every day but you can go to have a coffee every day,” explains Sofiène. Allowing people to discover the brand while going for a drink contributed to giving the brand its identity - a family oriented boutique space, with the aim of making the customer feel like they were being welcomed into someone’s living room, with a specific corner for the kids to play. 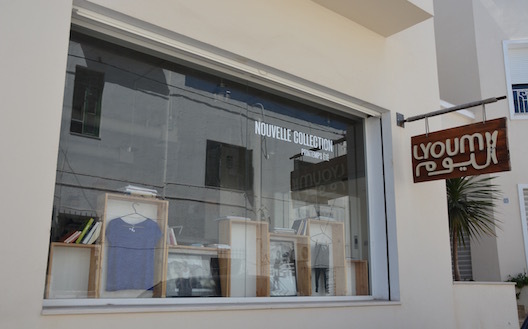 Lyoum's concept store in La Marsa. Sales have increased significantly since the adult collection, opening the door to a totally new clients. To Sofiène the Lyoum target audience is people who are not afraid of what is different. “Age, origin or income doesn’t matter, it’s all about your mood and thinking.” The brand aims to reflect Tunisia’s rich history and mix of cultures. 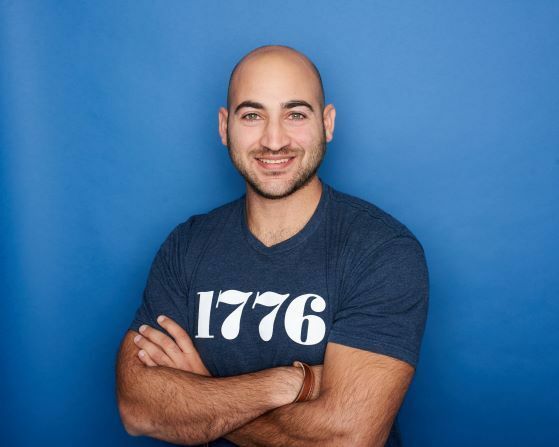 “Many Tunisians love the idea of wearing something Tunisian and many foreigners want to bring something Tunisian back home,” he says. It was important to Sofiène and Claire that the garments were accessible to a large audience and a t-shirt is easy to wear. They also tried to keep the prices in a medium-range, between 20 and 50 euros, without sacrificing quality. Tunis being a small place where many people hang out at the same place, Sofiène wanted to keep a unique feel for each design. 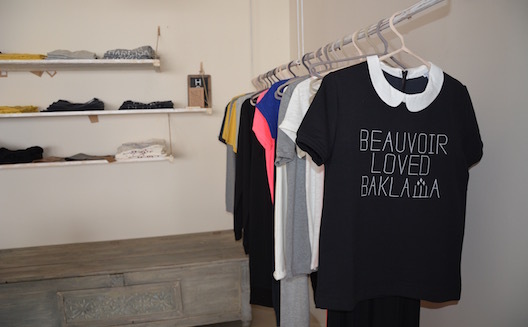 Now Lyoum sells many different designs, each in a limited number, in two separate boutiques in Tunisia, the original café boutique in Marsa and a new, one-month-old, clothing shop in Menzah, another suburb to the capital. But customers can also find Lyoum at a selected number of retailers in France, as well as online.